I’m pretty sure this is the best chocolate pudding I’ve ever had! When I set out to find a healthy chocolate pudding recipe, I was not expecting to discover something that was this delicious! It is made with all completely raw ingredients and is wonderfully sweet and satisfying. It is raw, vegan, gluten-free, oil-free, grain-free and soy-free. 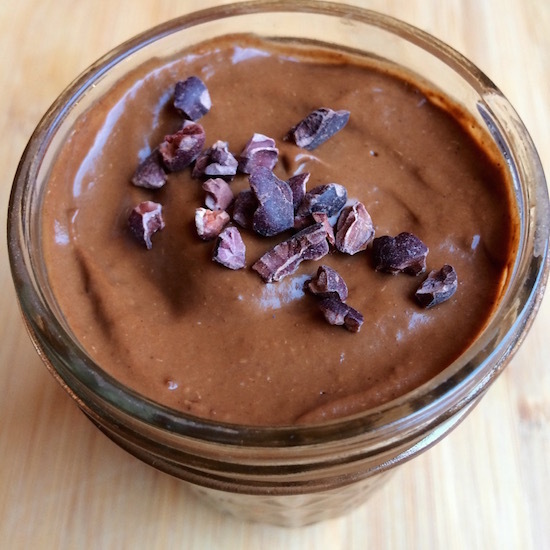 With 10 grams of fiber(40 percent of our daily value) and tons of potassium, magnesium and antioxidants per serving, this is not our average, store-bought chocolate pudding to say the least! The best part is, it takes five minutes or less to prepare. 1. Combine all ingredients in blender—blend until smooth and creamy. This sounds delicious! I cannot wait to try it! 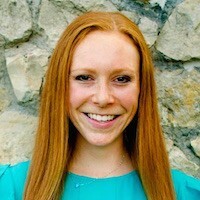 Annie Markowitz is a holistic health coach and PhD student in Nutrition at the University of Texas at Austin. She is passionate about helping others heal themselves through the power of nutrition to achieve their health and wellness goals. In her spare time, she loves cooking, running and sharing healthy, vegan, budget-friendly recipes on her blog. You can also find her on Facebook, Pinterest, Instagram and Twitter.